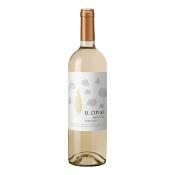 100% Torrontés, fruity wine with an intense and elegant aroma. A combination of being both floral and zesty. Sweetness and acidity are very well balanced which makes it refreshing and very agreeable. Fresh, aromatic wine with moderate acidity, smooth texture and mouthfeel as well as distinctive peach and apricot aromas on the nose. Lots of red fruit, violets and chocolate aromas followed by smooth tannins, hints of vanilla from the oak and lots of rich, complex and spiced fruit with a very long finish. Wonderful ! Made from grapes grown in their the Don Angelino Estate in the High Madrano in Mendoza from 85 year old vines which give a low but intense yield.